Unlike other building materials, precast concrete is non-corrosive and resists dents, punctures & other abuses caused by man or nature. Long spans with fewer framing members allow for fewer visual obstructions and clearer sightlines to properly supervise inmantes. 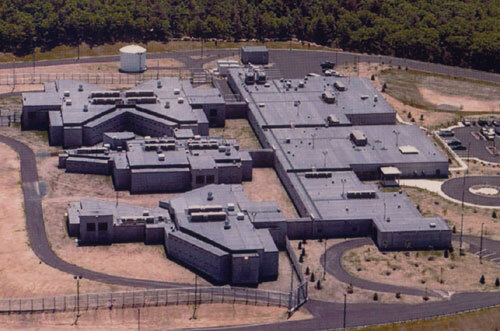 Strescon's precast concrete prison components can be custom-designed to meet specific security requirements. inherent structural capacity must be duplicated by another structural system. Similarity, if Precast concrete partition walls can serve as bearing walls or shear walls, then the cost savings become more apparent by utilizing these strong components to serve multipurpose functions. Precast Concrete can be molded into a variety of shapes and can be fabricated with many different architectural surface textures. This design freedom is an important benefit of Precast concrete and imaginative designers should take full advantage of its potential. At the same time, discipline and restraint are called for in order to maximize cost savings. Square and rectangular buildings are much more economical in Precast concrete than those with odd external shapes or involved angular interior layouts. Maximum economy and construction speed are more likely to result from simplicity and repetition. Precast concrete can provide impressive cost savings in construction by reducing the time to completion. The Precast components can be produced in the plant while site preparation and foundation work are proceeding concurrently. When the foundations are completed, Precast building units can be erected swiftly in almost any kind of weather.